A sales office for The Link, a new 41-story, mid-block condominium tower has opened on the corner of Eighth Avenue and 54th Street, in Marc. The new tower will have a glass cube entrance. 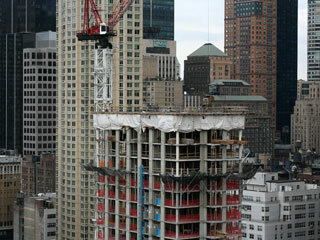 The tower is being built by Elad Properties, the new owners of the Plaza Hotel. The new tower will have about 145 apartments, sidewalk landscaping and multi-paned windows. 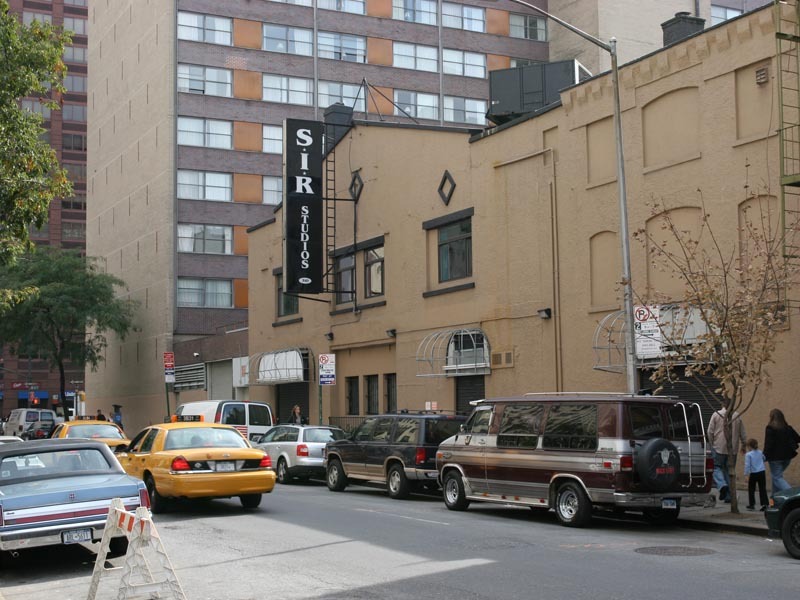 The site, which includes the SIR (Studio Instrument Rental ) building, was acquired in June of 2004 for about $9 million by Vikram Chatwal’s Hampshire Hotel Group that owned the adjoining Howard Johnson’s Hotel. In August of 2004, the site, including transferable air rights from the Howard Johnson Hotel, was then acquired by Elad Properties for about $43 million. 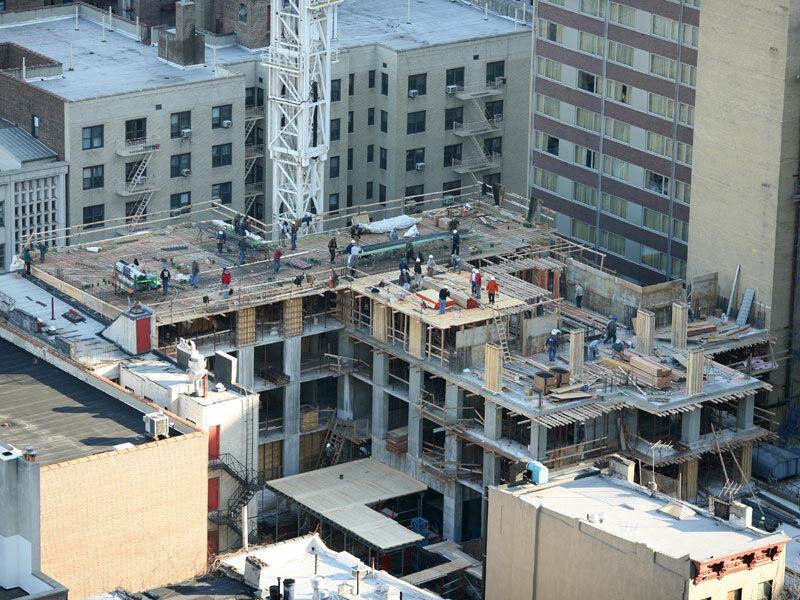 The construction of the Link condo. 24 March 2006. 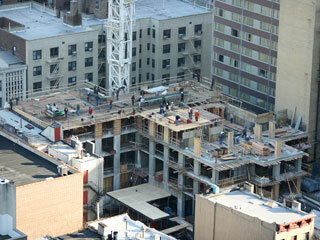 Construction of the Link condominium continues. 9 January 2006. 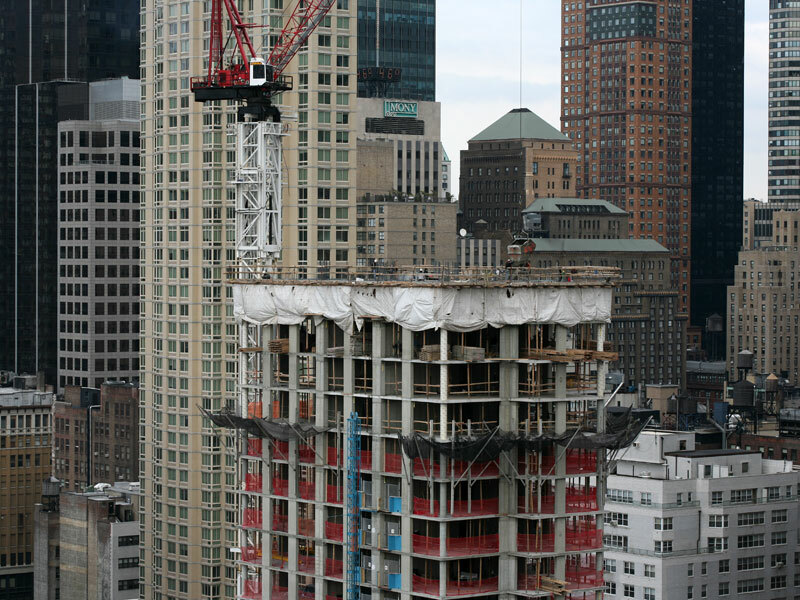 Construction of the Link, a new 41-story, mid-block condominium tower. 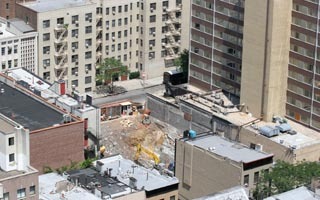 9 July 2005. In order to keep the studio from becoming “landlocked” SIR’s partners sold the site for $9 million. October 2004.